Engineered for comfort, the Sprinter Passenger Van has the power to take up to 12 people anywhere they need to go. Embarking and disembarking the Sprinter Passenger Van is quick and easy through a roomy 182.1 cm x 130.1 cm (71.7 in x 51.2 in) side door entry. Passengers will take the first step to a relaxing ride with the low, side step-in height as low as 49.5 cm (19.5 in). For the sixth consecutive year, we’ve been honoured with the Vincentric Best Fleet Value in Canada™ award. The experts at Vincentric™ compile automotive data from over 1,800 vehicle configurations, and recognize those who offer true value. 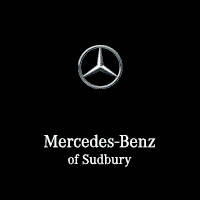 Mercedes-Benz of Sudbury	46.449395, -81.004948.